The children from the community often have little to do during the summer holidays. In the absence of institutions offering adapted activities, they are left to themselves. Therefore the foundation Minadores de Sueños organise every year in july a two-week holiday camp for about 120 children between 5 and 12 years old. Furthermore, the foundation offers a one-week holiday camp for about 30 adolescents from age 13 to 18. 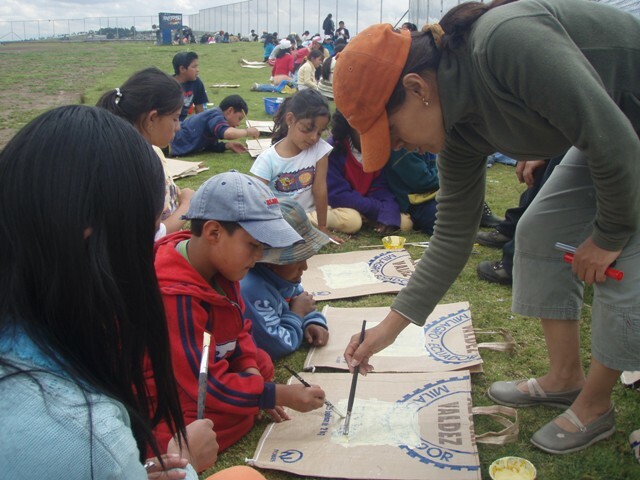 Within those camps, the kids can enjoy a place with games, friendship, freedom and much more. 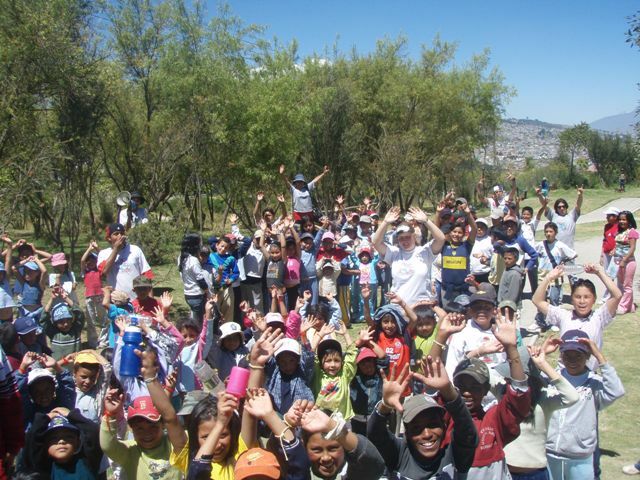 Moreover, the idea of these camps is to bond together all of the children from the area. 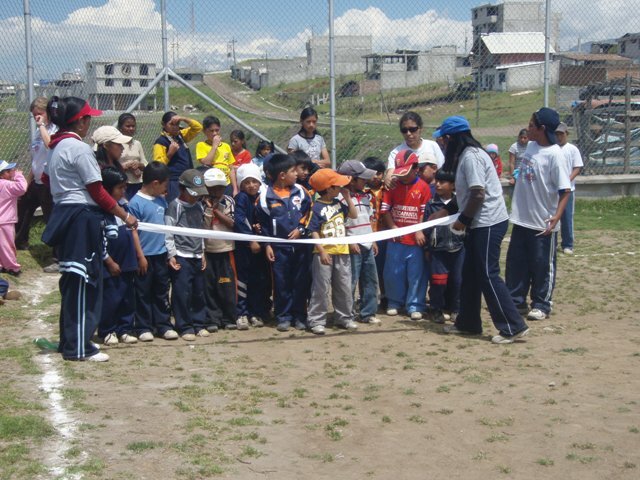 A group of about 15 adolescents help with the planning and implementation of the camps. Therefore, they participate beforehand in a workshop where they learn how to organise the various activities. By doing this, the adolescents learn how to take on responsibility as a leader of a group. Bringing to the children and teenagers a recreational, integrative and participative space with mindful activities to generate adequate and active use of their free time. Reinforcing the global learning process of the participating children and teenagers. Every year we choose a new topic which will be given attention to during the holiday camp which gives the children and adolescents knowledge and abilities which they can use in their daily life. The excursions are really popular with the children. Often a day trip out of the city to a swimming pool is the highlight of the whole holiday camp. Often it is their trip of the year! To better meet with the wishes and the needs of our children we undertake satisfaction surveys at the end of the program to offer the most suitable and appealing holiday’s camps in the next edition. In the future, we hope to build an extra adolescents room only for the teenagers. During the year we organise serveral other activities. Those are mostly integrated into the projects. Those offers are an important component of the holiday camps, the learning support and the teenager zone and are a crucial part of a recreational and learning process as while playing they learn and motivate themselves.